The Vivo V7+, which was unveiled just a week ago with Kathryn Bernardo and Daniel Padilla leading the roster of celebrity endorsers, is proven to be the fastest-selling smartphone to date, already receiving more than 5,000 pre-orders. Already available this September 30, the V7+, the latest pride of the 5th in the 2016-2017 Leading Global Smartphone Brands, boasts of a world-first 24MP front camera, a Face ID security access, and a 5.99” all-screen display. The pre-orders shot up mainly because of the V7+’s top-of-the-line features. The V7+, a selfie-centric phone’s front-facing 24MP camera rocks LED flash and smart photography algorithms which produce sharp and natural-looking photos. The V7+ also prides itself with its revolutionary 5.99” all-screen display with an 84.4% screen to body ratio, providing a more exciting and enhanced gaming and visual experience. Also, a special Face ID feature allows high-technology security access to one’s smartphone, unlocking the phone with mere facial recognition. The V7+ comes in Matte Black color and Crown Gold and is priced at a reasonable Php 17,990.00. 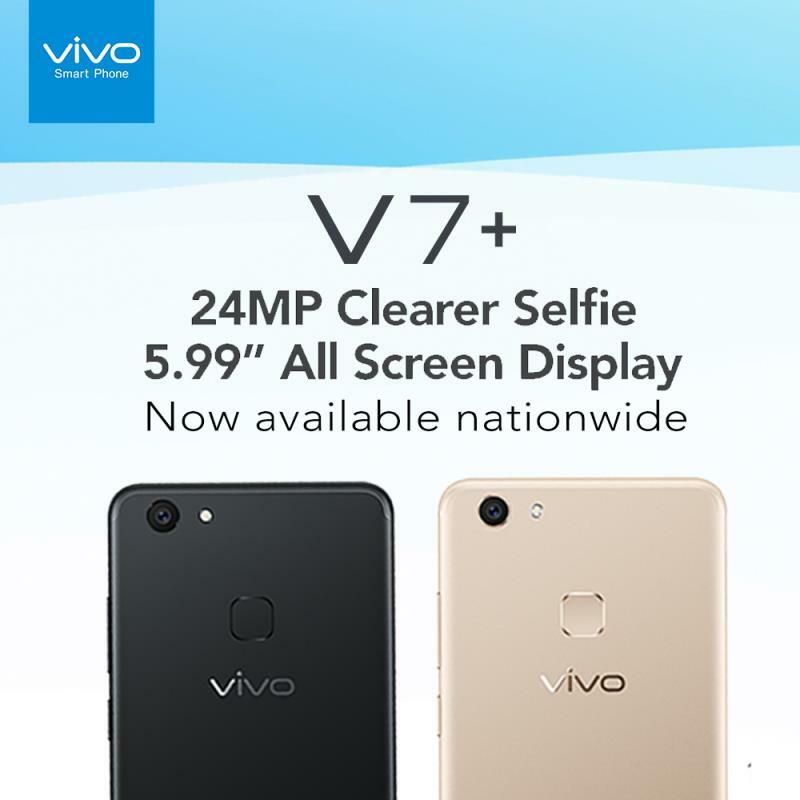 The Vivo V7+ is selling nationwide.